Ontologies are the backbone of the Semantic Web as they allow one to share vocabulary in a semantically sound way. For ontologies, specified in OWL or a related web ontology language, Description Logic reasoner can often detect logical contradictions. Unfortunately, there are two drawbacks: they lack in support for debugging incoherence in ontologies, and they can only be applied to reasonably expressive ontologies (containing at least some sort of negation). In this paper, we attempt to close these gaps using a technique called pinpointing. In pinpointing we identify minimal sets of axioms which need to be removed or ignored to turn an ontology coherent. We then show how pinpointing can be used for debugging of web ontologies in two typical cases. 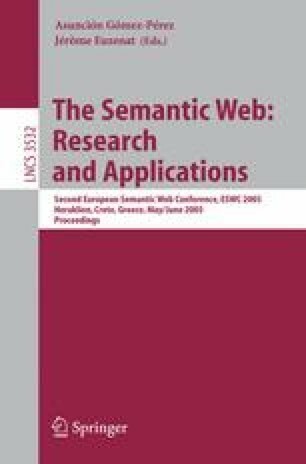 More unusual is the application of pinpointing in the semantic clarification of underspecified web ontologies which we experimentally evaluate on a number of well-known web-ontologies. Our findings are encouraging: even though semantic ambiguity remains an issue, we show that pinpointing can be useful for debugging, and that it can significantly improve the quality of our semantic enrichment in a fully automatic way.